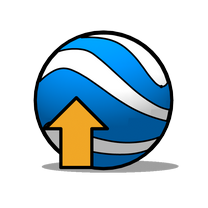 Yesterday (August 6), Google announced that user generated 3D content for the official 3D Layer of Google Earth will soon (with October 1) be over. 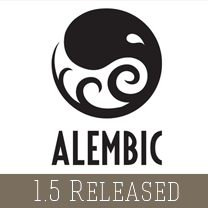 With this move, an era of over seven years will be over. 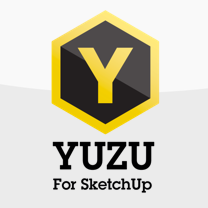 Google acquired SketchUp in 2006 and immediately released a free version of the software in order to encourage modellers to populate Google Earth with 3D content. 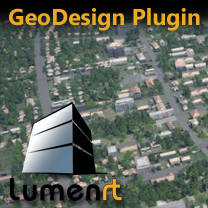 Later Building Maker was also added (this was stopped in June this year) and eventually 45 Degree 3D Imagery was also added - this latter one to finally replace 3D models made in either SketchUp or Building Maker. 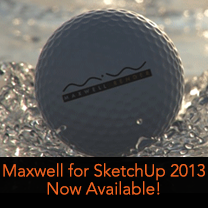 The guys at Maxwell have just released Maxwell for SketchUp 2013. 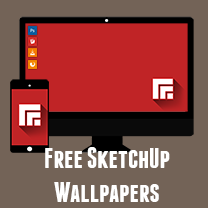 This latest release has some major updates but mostly it is under the hood to make it compliant with the latest release of SketchUp 2013.Along with the added support the the latest SketchUp release it is now distributed as an RBZ file for easier install, the color picker now has both RGB and HSV modes and added support for setting per-Channel output formats. 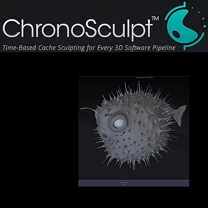 NewTec Inc. has pre-released its new time-based application for sculpting and modifying animation caches in VFX and feature animation pipelines called ChronoScuplt. ChronoSculpt is a powerful new stand-alone application that revolutionizes working with animation and dynamic simulation cache files from any application. ChronoSculpt also introduces a radical new geometry engine based on their “Hydra” technology which "allows the deformation and manipulation of 8 to 10 million polygon objects with ease." 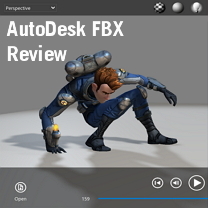 Read on to see ChronoSculpt in action at SigGraph 2013. 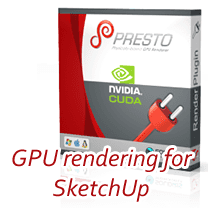 Thea Presto - the GPU Engine is Finally Here! 48 hours left to save 25% on gTools Lite!